With the Skrill wallet, customers can now buy and sell Bitcoin, Bitcoin Cash, Ether, and Litecoin. Payments operator Skrill announced on Wednesday that its customers can now buy and sell cryptocurrencies using the Skrill wallet. This includes buying and selling Bitcoin, Bitcoin Cash, Ether, and Litecoin by using the more than 40 fiat currencies available in the Skrill wallet. Skrill is a digital wallet and mobile payments operator. The update to its wallet is the payment providers first foray into the virtual currency world. Historically, the company has been focused on poker, sports betting, and casino rooms. The company’s new cryptocurrency capability is now live in more than 30 countries. This includes the United Kingdom, UAE, Australia, and Canada. However, the update is not available in some of its key markets including Russia and the United States. In the next few months, the company plans to increase the service to additional markets. It will also add the crypto capabilities to its mobile app and the NETTELLER digital wallet. NETTELLER is a product from its parent company Paysafe. 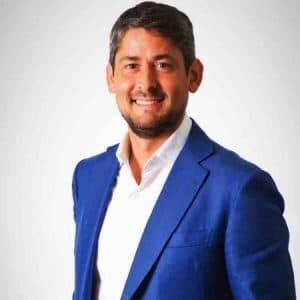 Commenting on the launch of the new crypto feature, Lorenzo Pellegrino, CEO of Skrill, NETELLER and Income Access, said: “the world of cryptocurrency trading is exciting and dynamic, and our digital wallet service very much lends itself to this environment. According to the statement, at the moment customers can only buy and sell interests in cryptocurrencies. They can’t transfer their cryptocurrency holdings to other customers of Skrill or use it for transactions with merchants. Customers can expect this feature in the future. However, the wallet does allow you to upload funds in numerous payment options and currencies.